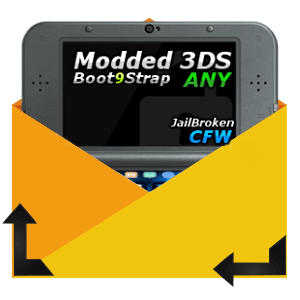 Using this service, you can send us your 3DS or 2DS to have it fully Modded. A JailBroken/Modded system has many features described below. This service also works with New 3DS(xl) and New 2DS XL. This service is compatible for all New 3DS, 3DS, or 2DS systems on any firmware version. If you you don't know how to check your firmware version watch this video. You Send us Your Own 3DS or 2DS. Please make sure it has an SD Card installed with at least 2GB left of free space.Your save files and games will remain intact on the system. You will be responsible for the shipping cost getting it to us. We highly recommend using USPS Priority Flat Rate box. The box is free, the service is only 6-7 dollars, and tracking is include. Please pack it very well. We will not be responsible for system damaged during shipping. The shipping address will be provided after checking out. It's an address based in the United States. International custom ship as safely as you can and make sure it's packaged well. 2DS & Original 3DS customers. Some NTR features (like video streaming, controller input, SUMOHax, etc.) will not work on these systems (Only on New 3DS and New 2DS). This is because the hardware is slower and can't handle it. But you do have one bonus over New 3DS as you can install an Older Web Browser and use the older QR Code hacks.